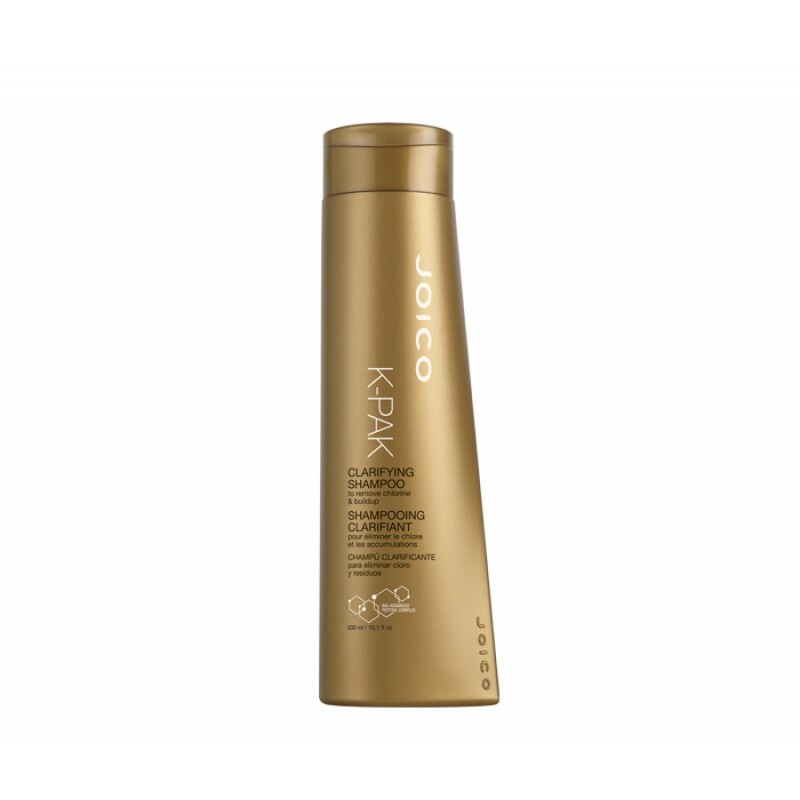 Joico K-Pak Professional Chelating Shampoo - for clarifying, chelating, & conditioning. Triple-action chelating shampoo is an intense clarifying shampoo that cleanses the hair, removes mineral deposits and styling product buildup. 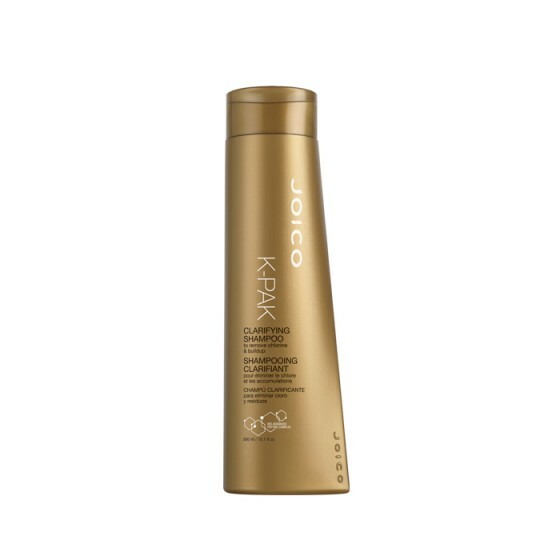 Moisturizes the hair, allowing for an easy wet-comb. pH 4.5 to 5.5. Contains Quadramine Complex, an exclusive blend of postively charged, low molecular weight and size proteins. Balance of 19 essential amino acids (the building blocks of hair) adheres quickly and effective to ensure maximum protection and reconstruction from the cuticle to the cortex. Results Removes mineral deposits and styling product buildup.